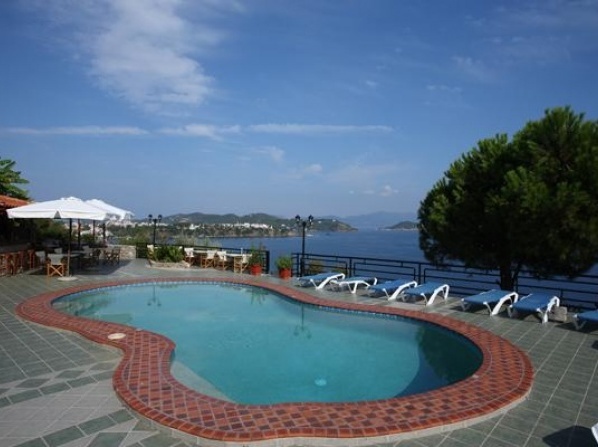 Just off the main street of the town of Skiathos, this luxury hotel offers a beautiful courtyard with pool and sun-lounger terrace. 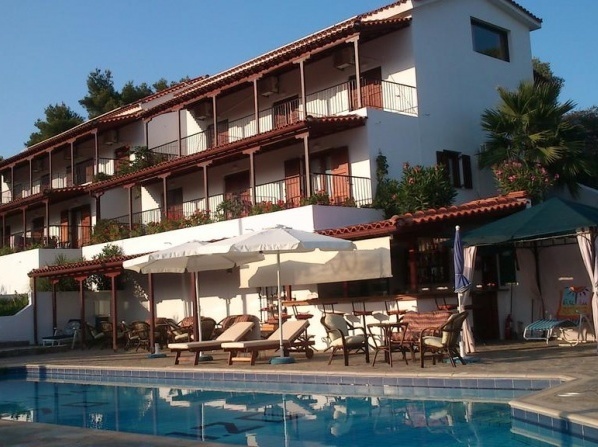 Angelina Studios are located in the area of the Koliou beach, 6,5 km from the city of Skiathos.The hotel offers sea view & has 2 bars, 2 pools, wide balconies and provides also car rental services. The hotel features 14 studios, 7 those being maisonettes. Built on an enchanting spot close to Chora and beside the most beautiful beaches of the island; it's the perfect accommodation for people who love tranquility, while it's the ideal base for tours around the island. 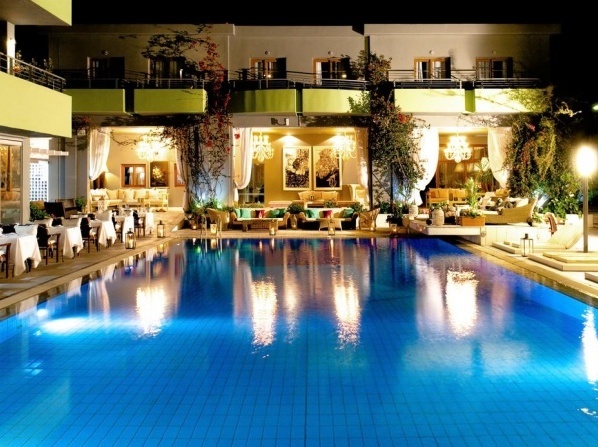 Α recently renovated hotel with studios & apartments, a swimming pool and pool-bar. 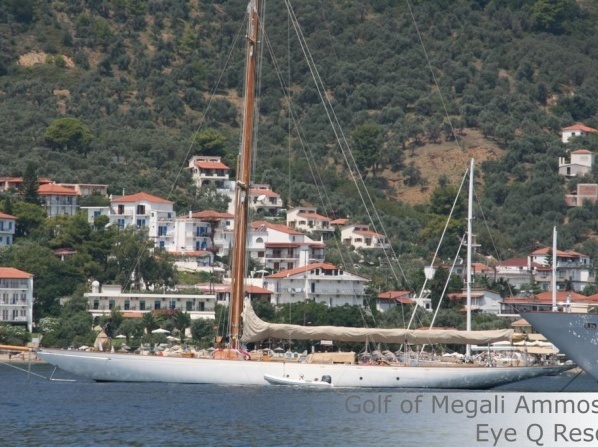 It is located near the beach of Megali Ammos area, 10 minutes away from Skiathos town. 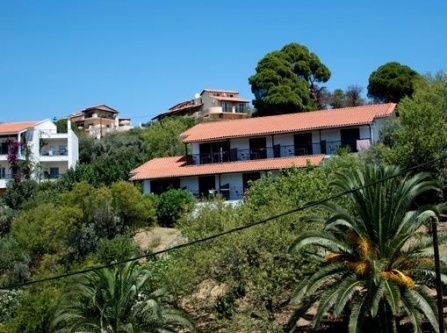 Located on a hillside and just 250m from the sandy beach, this hotel features self-catered accommodation and free Wi-Fi access. 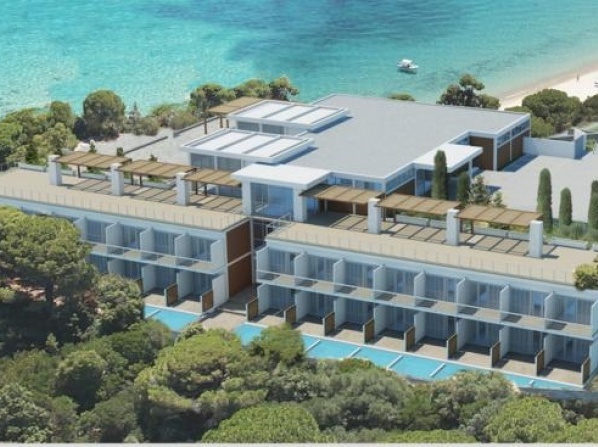 A complex of four detached, autonomous buildings located on an ever-green hillside above the amazing sandy beach of Megali Ammos. 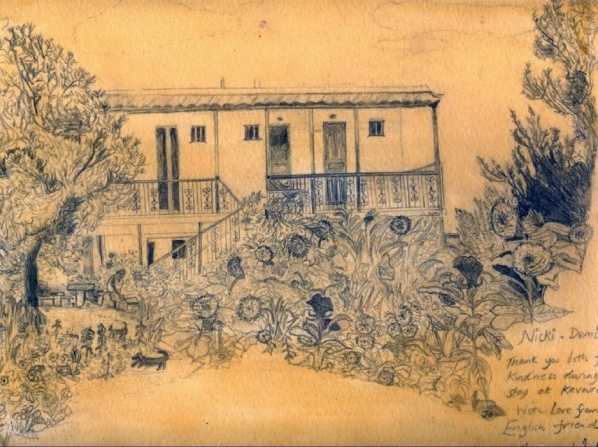 The apartments are set in a lush garden near Kolios Beach. The comfortable and luxurious rooms have large balconies with unique views of the pool and the scenery. 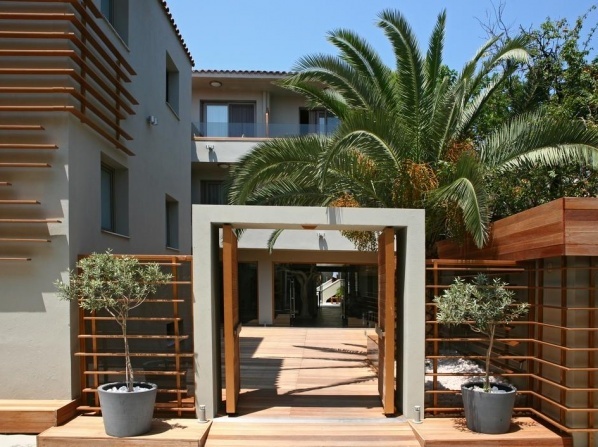 A traditional building surrounded by greenery while breathing the revitalizing Aegean-Sea air. 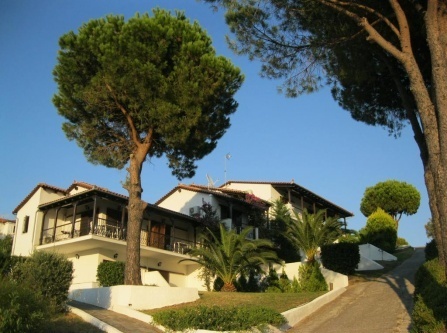 Villa Kavourakia enjoys a quiet location and is surrounded by a lush greenery.